Until I can figure out why my images won’t show in syndication I will have to add links to the images. It kinda breaks the whole aesthetic of the thing but maybe its better that I talk about the art a bit, I have had complaints in the past about my silence. 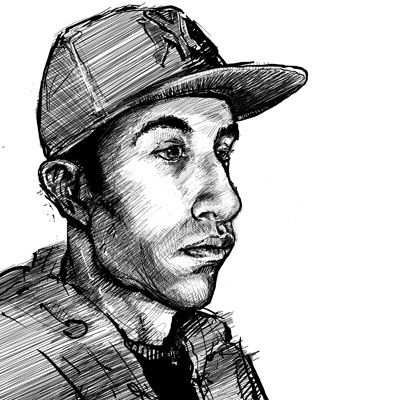 This is a portrait of a friend and fellow artist Jon Contino. It was made in photoshop at 1000×1000 at 300dpi using a stock brush. yeah its funny, when I was messing around with posts last night the images were showing up at the robotface blog about 75% of the time. It seems pretty hit or miss.